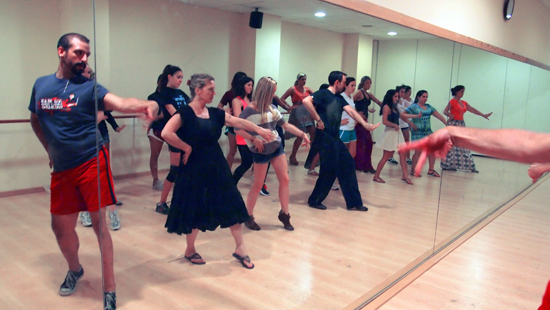 In May and June of 2012 I, Hans Rasch, was able to travel to Valencia, Spain through the help of a Florida State University Grant to go do an intense and in-depth study in Flamenco dance, Performance and Movement Analysis. Working closely with both Dr. Tricia Young — a member and mentor on my thesis committee — and Dr. Sally Sommer — Director of the Dance in New York Program– of the Dance Department at Florida State University, I researched the history and Philosophy of Flamenco dance, the idea of the every day life as a platform for Performative action (Life-as-art) and attempted to understand what defines Spanishness through the use of Movement Analysis. 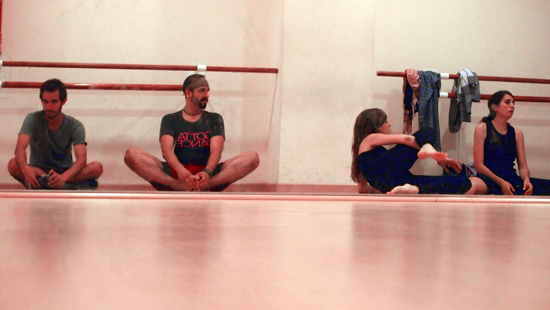 During the duration of my study I attended Contemporary dance classes in the Rusafa neighborhood of Valencia to immerse myself in the Valencian culture. In this way, I could get an understanding of how Spaniards live, think and react to different situations. In addition to this I also took initiative in my learning by formulating a specialized Flamenco class that would teach the basics of the dance to students who had no prior training or technique.cultural tropes and what it means to be an American and Latino of Spanish descent. I also made an effort to speak to everyone whom I came across in my travels — from grocers at the open air markets to many dates with different Spanish men– in this way I could find out if I was that much different than they were. The body has it’s own universal language, and the cultural barriers and dialects are all transcended through the use of dance because if you can dance or move than you can communicate (body language). The same struggles that we face as Americans — job loss, failing economy, the desire for connection, camaraderie and love– are felt by everyone on a global scale. It is these traits that more realistically define the human condition rather than any one specific ethnic or cultural identity. What the brief but intense time made me realize more than anything else is that there is a larger world out there that has left me with a strong wanderlust, a desire to explore and knowing that if I could, I would spend all my days dancing until my feet were bloody.